As the year has unfolded, so too has our event series created in aid of the National FGM Centre – which started back in May with the screening of Jaha’s Promise and moved on with our second annual FGM Conference in July. 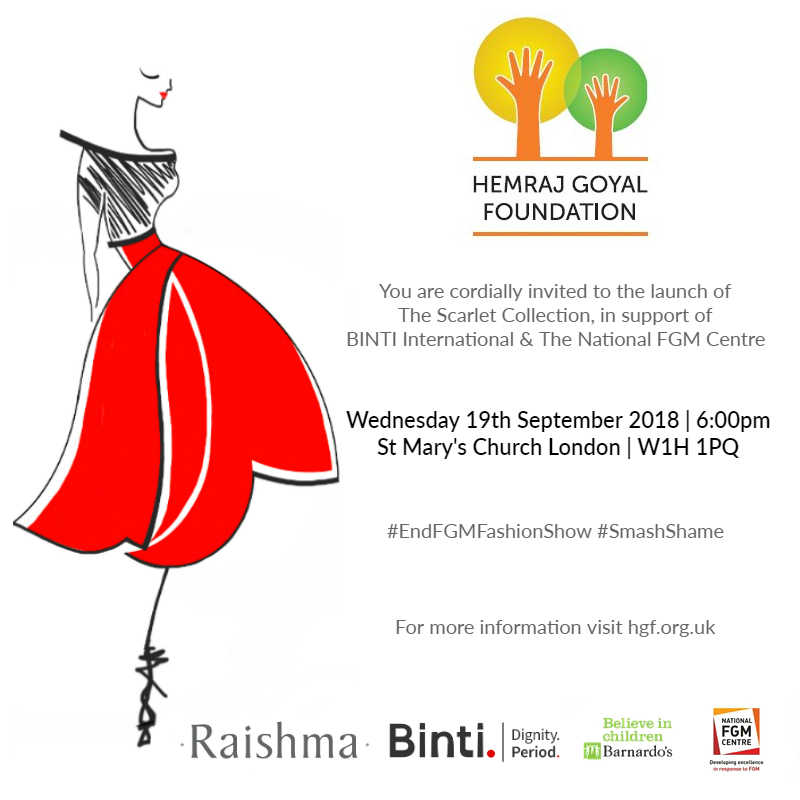 On Wednesday 19th September, we hosted the Charity Fashion Show; uniting the National FGM Centre with BINTI International in one big celebration of women’s rights, women’s dignity, and women’s empowerment. 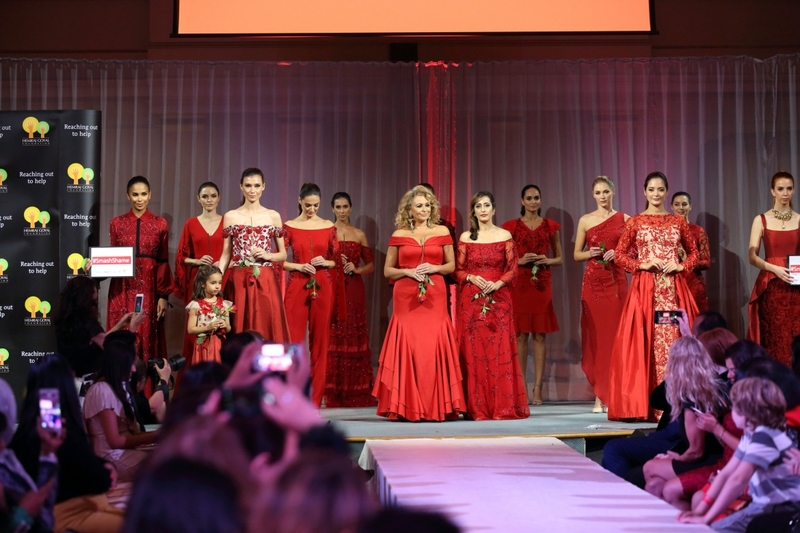 We are a unique charity as we operate as a family-run foundation. Our dynamic leadership team are descendants of Hemraj Goyal. There’s a lot going on this year at HGF! Make sure you keep updated with all our latest activities and fundraising events by getting social! Your generous donations make an honest difference to the lives of children and women world wide. Read on for truly inspiring stories. The Hemraj Goyal Foundation (HGF) is a registered charity operating in the UK and Worldwide. HGF support charitable organisations which make an honest and powerful difference to individuals’ lives by providing financial and human resources to those who need our support. HGF distribute funds to organisations who promote education, women and children’s rights and put an end to human trafficking. “You are absolutely incredible. I have been hearing how you and Avnish have coped so admirably in the heat and dust and won the hearts and minds of the projects and more so with my team at iPartner India. They cannot stop singing your praises. How do you even manage to give of yourself in such a heartfelt fashion Anita. I have met so many donors in my time but you and Avnish honestly are a class apart.